One of the biggest challenges in affiliate marketing is working with loyalty sites, which provide consumers with cash back, points back, or some variation of the two. Some loyalty sites (also called incentive sites) will even contribute a portion of a consumer’s purchase to a charity of her choice. Loyalty sites fund the incentive — such as cash, points, or miles — through commissions earned as one of your affiliates. Well-known examples of loyalty sites include eBates, which offers cash back to its members for their purchases, and GoodShop, which donates a percentage of purchase to the consumer’s chosen cause. 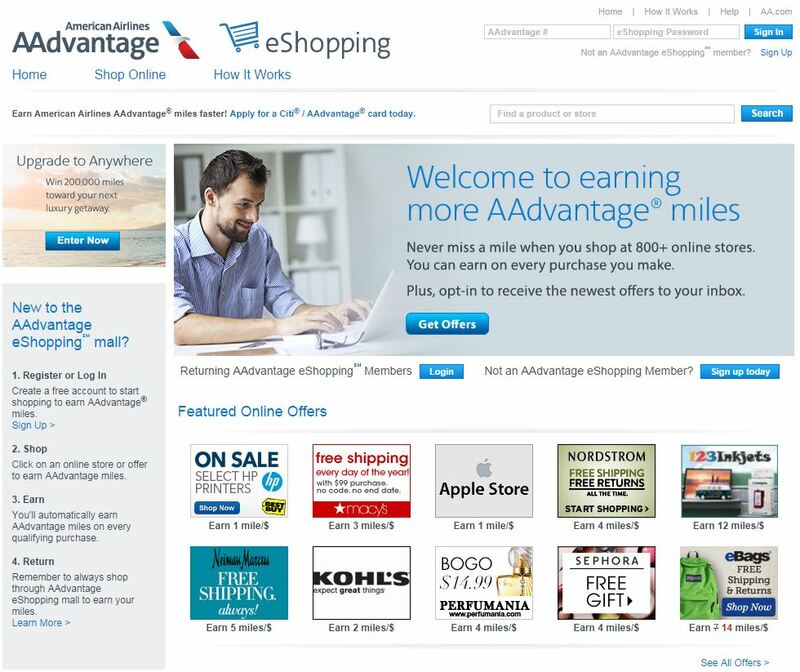 There are shopping portals associated with major airlines, such as AAdvantage eShopping, which provides consumers with American Airlines miles on every qualifying purchase. American Airlines AAdvantage eShopping is a loyalty site that awards miles per dollar spent at member retailers. Why Work with Loyalty Sites? For a new brand or small- to medium-sized retailers, there are certainly benefits to working with loyalty sites. There is exposure to a large, established audience of consumers. eBates alone has over eight million members. And when you launch on these loyalty sites, oftentimes you’re included in an email that goes out to their member base, which can generate quite a bit of traffic in my experience. Also, if you don’t have the technology to manage coupon codes or discounts, a cash-back offer from a loyalty site could help convert undecided shoppers. I have run campaigns with loyalty sites where 60 percent of responses are from new customers. However, on the flip side, I have also run campaigns with loyalty sites that have seen less than a 2 percent new customer ratio — i.e., 2 percent of respondents are new customers. This is typically the case with brands that are already established, and that already have broad customer reach. In these instances, consumers are already familiar with the brand, are likely already planning to complete a purchase, and are simply looking for some form of a discount. Additionally, regardless of the size of your brand, a new consumer who comes to you via a loyalty site will likely have a lower lifetime value than a one that comes through other channels. That’s because you are sharing that consumer with the loyalty site. You will probably never have full ownership over that consumer since you will likely pay commissions to the loyalty site on every future purchase that the consumer makes on your site. Once the consumer realizes they can get cash back on their purchases with you, he will always opt to receive cash back instead of paying full price. 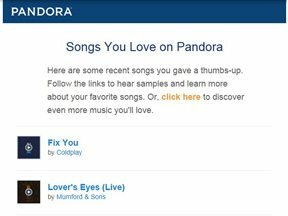 This is why you can’t compare loyalty sites to coupon campaigns. If you win consumers over because you deeply discounted their initial purchase via a first-time coupon or similar offer, there’s still a chance that they will come back and complete a future purchase at full price. However, if those consumers are won over because of receiving cash back from a loyalty site, they will likely complete all future purchases via that loyalty site, in my experience. Another issue to be aware of when working with loyalty sites is proper attribution. Say one of your blog affiliates writes a helpful product review for you, highlighting the benefits of your product, providing images and effectively educating consumers on why they should purchase your product. The consumer clicks through the blog post to your site intending to complete a purchase. If the consumer were to complete the purchase at that moment, the blogger would likely earn commission on that purchase. However, if the consumer decided that she wanted to receive cash back on her purchase, she might exit the checkout process and go to a loyalty site to get cash back. In this latter instance, the loyalty site would receive the commission, and the referring blogger would receive nothing. However, sometimes the consumer doesn’t even need to leave the checkout process to earn her cash back. Some loyalty sites incorporate a toolbar or browser button that alerts consumers if they are eligible to earn cash back on their purchase. Whenever the consumer is on a site where she can earn cash back, the browser button alerts her to the earning opportunity, and the consumer can click the browser button to set the loyalty site’s affiliate cookie, without ever leaving the retailer’s site. 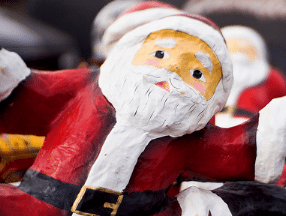 Many see this as an unsavory practice, because it hijacks the consumer midway through her shopping experience, forcing the retailer to pay commission when the loyalty site didn’t do anything to drive the traffic. If you decide to work with loyalty sites, be sure to research if they have this type of tool available to their members. If so, be sure to opt out of participating in the tool. Not only does the tool hijack inbound traffic from other affiliates, but it also hijacks direct loads (consumers who visit your site directly by typing your URL into the browser address bar). With some affiliate networks, such as ShareASale, you could compute commissions to the blogger even if a loyalty site were to intercept the consumer. However, in that instance, the loyalty site would not receive a commission. This could anger the customer, because if the loyalty site doesn’t receive commission, the customer doesn’t receive cash back. Considering that the customer clicked through to the loyalty site, she is right to expect cash back. So, the challenge is how to manage attribution and payment when there are multiple touch points. From a marketing standpoint, it would make sense to split the commission between both the blogger and the loyalty site. However this does not solve the cash back issue for the consumer. Moreover, if you are paying a reduced commission to the loyalty site, the loyalty site still has to pay the full cash back to the consumer. I do not intend to necessarily dissuade merchants from working with loyalty sites. I have seen strong new customer ratios on some campaigns. However, loyalty sites add new complexity to your affiliate program. Consider those issues in advance and incorporate them into your overall strategy.